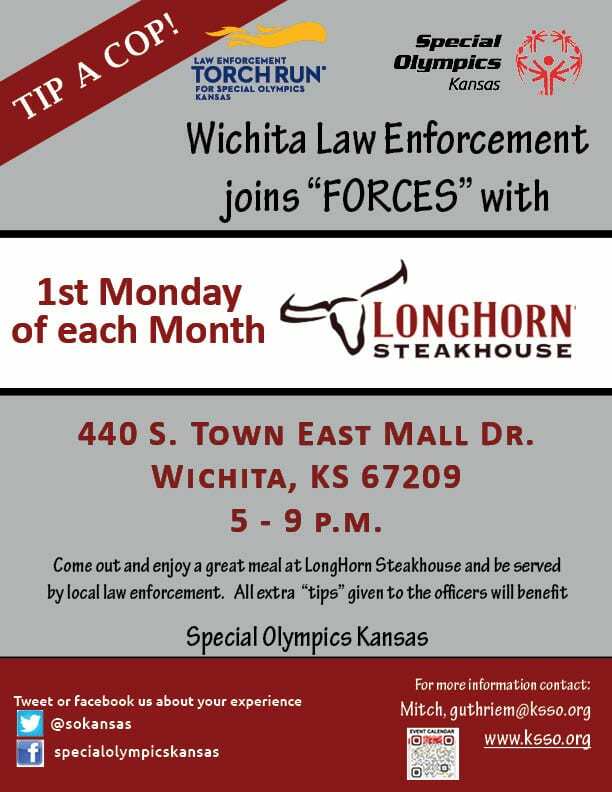 Join us for first Mondays at LongHorn Steakhouse in Wichita and give back to your community! From 5 – 9 p.m. on the first Monday of each month don’t worry about what to cook for dinner. Just stop in LongHorn at 440 S. Town East Mall Drive in Wichita and enjoy being waited on. You don’t need a flyer or coupon for 10% of your meal cost to be donated to Special Olympics Kansas! Just eat at LongHorn and you’ll make a difference for more than 4,300 Special Olympics athletes! 440 S. Town East Mall Dr.